UTIs can involve several structures, including the kidneys, but most often refer to infections of the bladder. Several factors contribute to bladder infections. These can include glucosuria (glucose in the urine), depressed white blood cell function, immunoglobulin A (IgA) deficiency, and the high levels of impurities (chemicals and poor quality protein) present in commercial diets. The latter irritate and inflame the bladder lining much as they inflame the intestinal lining. This inflamation primes the bladder for infection. Signs of UTIs can include frequent licking of the uretha, incontinence or dribbling of urine, blood in the urine, straining, urgency (frequently asking to go outside) without being able to produce much volume, increased thirst, and lethargy. To diagnose a bladder infection, your veterinarian may request that you collect a urine sample and deliver it to the clinic. There are several ways to collect a urine sample. The sample does not need to be sterile for this examination, only clean. You can use a clean ceramic mug, margarine container, or plastic zip-style bag. Follow the dog into the yard. Walk along with him, but pretend you are not very interested in his activities. Most dogs are accustomed to relieving themselves, by themselves, and may be intimidated if their owner follows them around. After the dog squats or lifts his leg, quietly slip the cup or container under the urine stream, once he has started. If he seems especially alarmed by what you are doing, offer him a food treat afterward. If your aim is poor, and the idea of urine on your hand bothers you, purchase a pair or box of latex gloves. You may also use a clean pooper-scooper or soup ladle to catch the urine, transferring it to a small container afterward. This alleviates the need to bend down. It is best to bring a fresh urine sample (within an hour of being collected) to your veterinarian. If this is not possible, refrigerate the urine sample until it is time to leave for the clinic. This will help prevent excess bacteria, which might skew the findings, from growing in the sample. In more difficult UTI cases, your veterinarian may obtain a sterile sample by performing a bladder tap. In this case, urine is collected through a sterile needle inserted through the skin, directly into the bladder. This can provide a more accurate sample when there is difficulty identifying or treating infectious agents. Your veterinarian may encourage you add acidic fruit or supplements to your dog's diet. This can include cranberries, blueberries, cranberry supplement, or Azocran tablets. All of these acidify the urine, which helps to discourage bacterial growth. You can monitor urine acidity by measuring urine pH levels. This is performed with pH urine test strips, much in the manner that home urine testing is performed. Urine pH strips are available at your local pharmacy. Keep your dog well hydrated. The more frequently a dog empties his bladder, the less chance bacterial infection has to get started. Add some type of flavoring to the dog's drinking water, such as soy sauce or soup bouillon. If your dog has sodium restrictions, purchase low-sodium types. Discuss your plans with your veterinarian. Remember that UTIs can cause a viscious cycle. The infection causes higher blood sugar levels that, in turn, cause excess sugar to spill into the bladder. This sets the stage for even more bacterial growth. Discuss the need for better blood glucose control with your veterinarian. 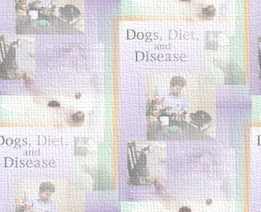 Canine nutritionists recommend treating chronic infections from the iinside of the body, outward. 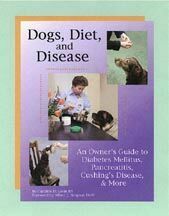 In addition to whatever treatments your veterinarian prescribes, nutritionists recommend acidifying the dog's system through dietary means. If you are feeding a homemade food, remove any grain and high-sugar fruits and vegetables from the diet. This includes bananas, apples, sweet potatoes, yams, carrots, green peas, corn, parsnips, winer squash, and tomatoes. Commercial dog food, especially kibble, is very alkaline. If you continue to feed commercial food, acidify the system by adding vitamin C, raw apple cider vinegar (available at health food stores, not grocery stores), and cranberry juice or cranberry extract, or frozen blueberries. In addition, some research indicates that highly bio-available protein (homemade diets with raw or cooked meat) discourages baceria from developing in the urinary tract.